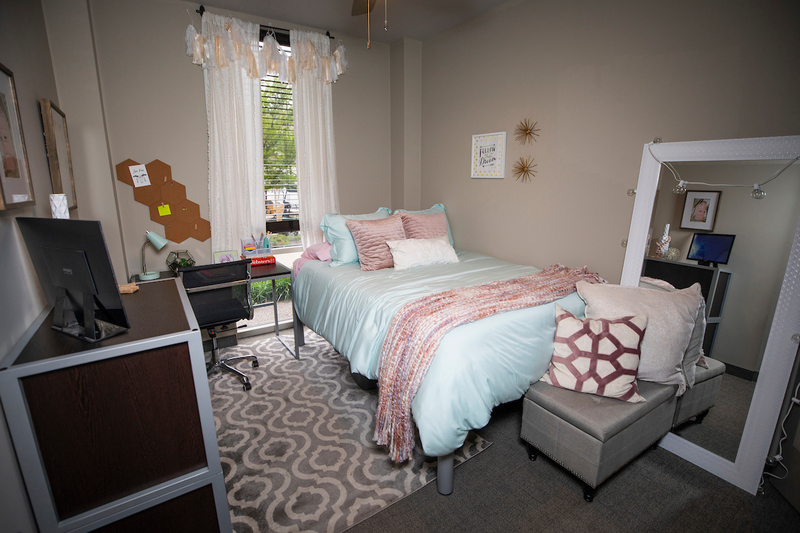 2 furnished, shared bedrooms with shared full bathroom. 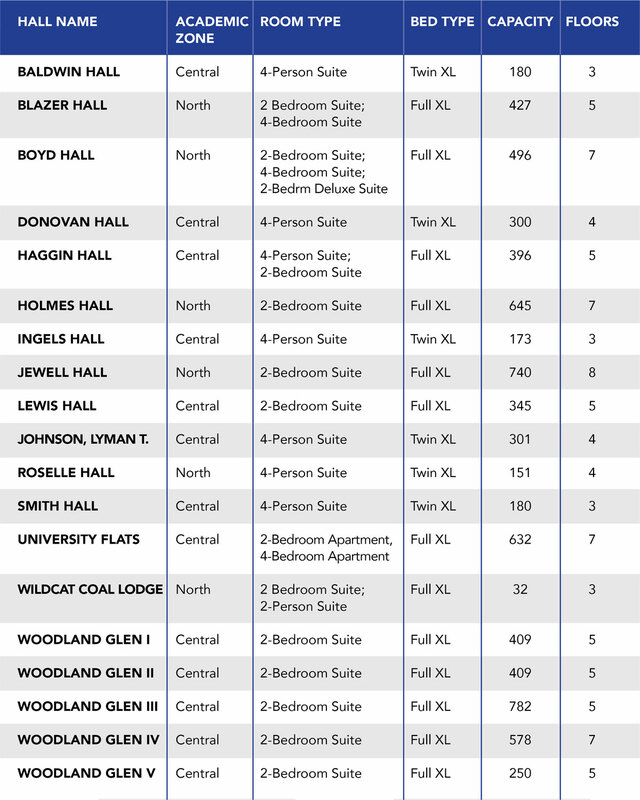 Contains individual sinks and closets for each resident. 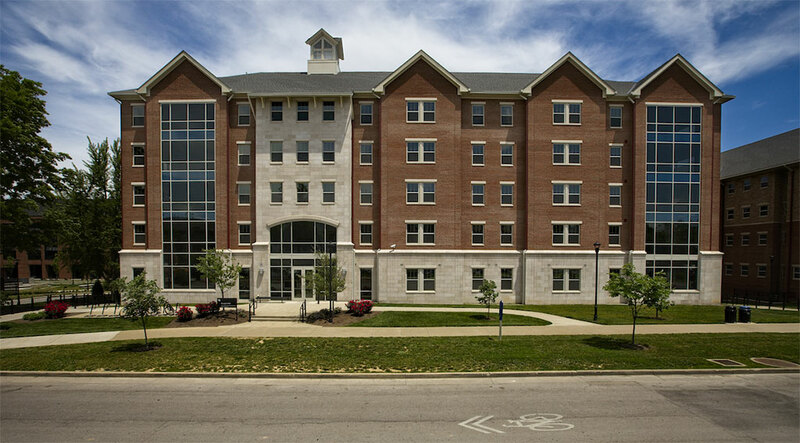 Opened in 2014, Haggin Hall is named for Mrs. James B. Haggin and her husband, James Ben Ali Haggin, founder of Elmendorf Farm. 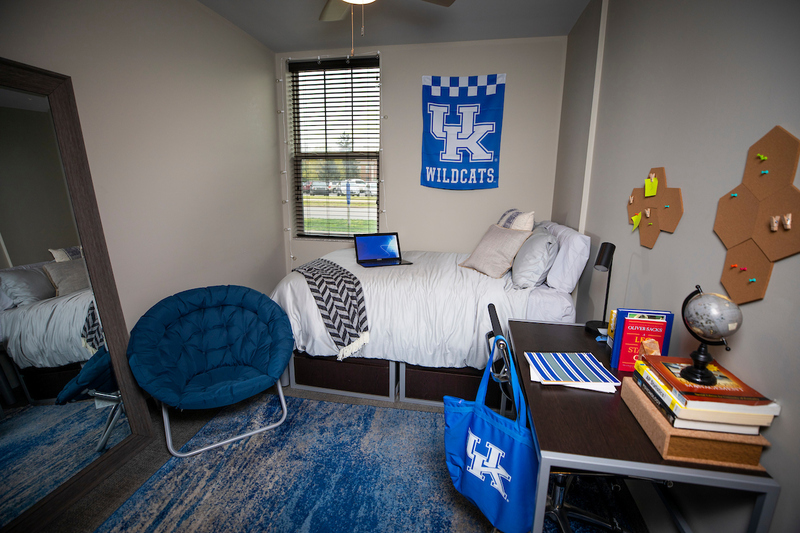 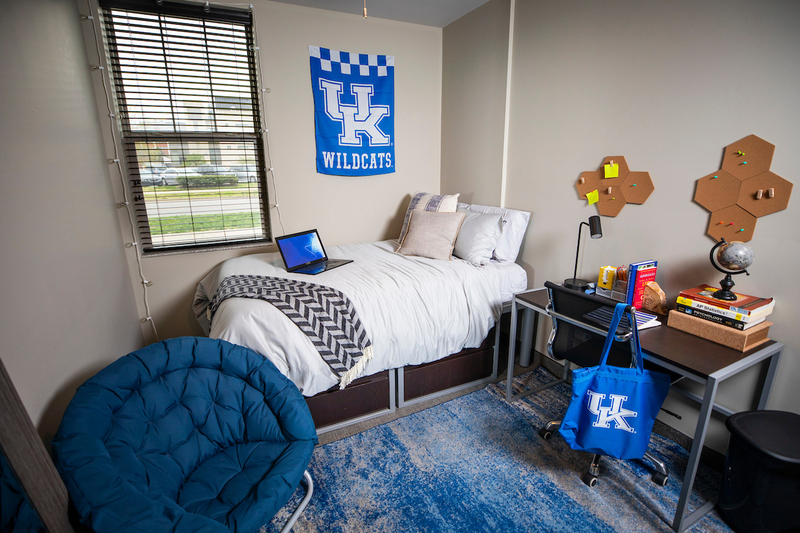 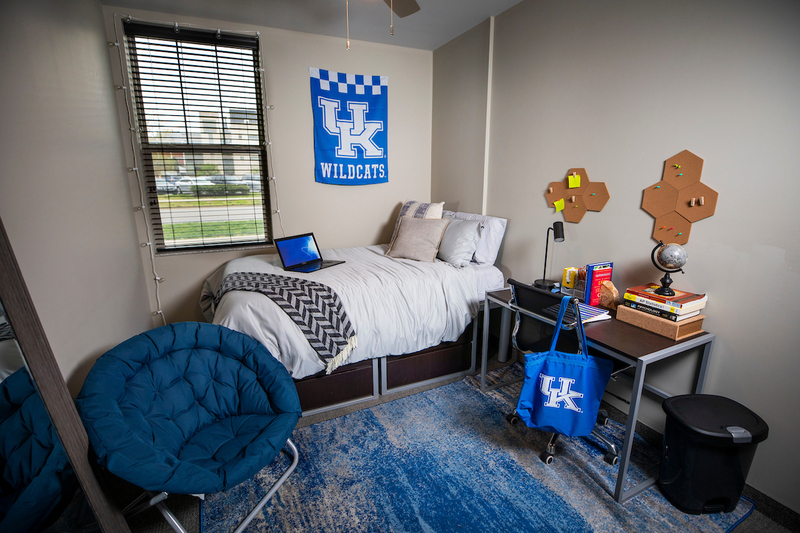 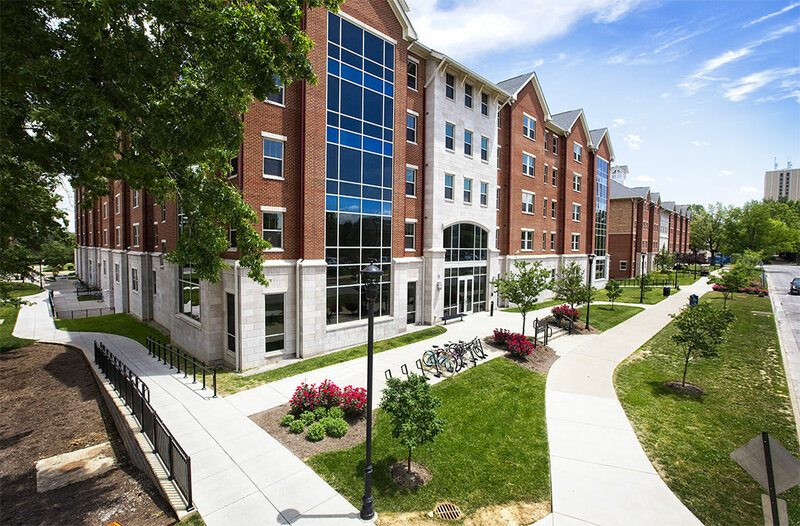 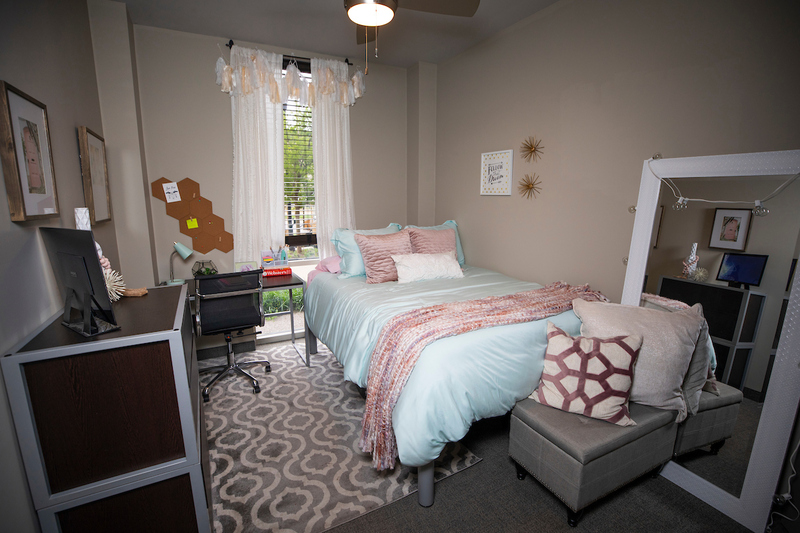 Haggin Hall has the four-person suite and two-bedroom suite room types.